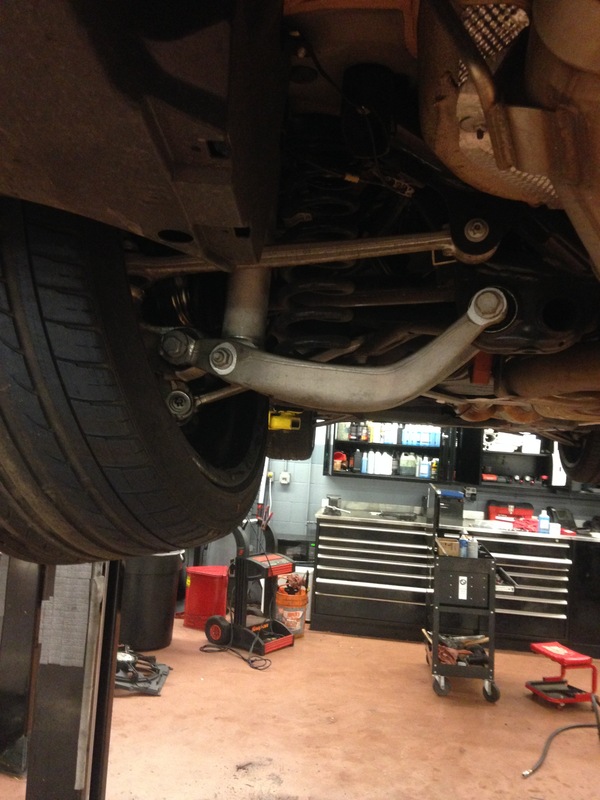 This is the left rear lower arm on a M3,,,,the customer decided to customize his suspension ,,,,lol,,,,,,it’s amazing the arm didn’t break ,,,,it shows you how far that arm can bend without breaking. This is the other side,,,,this is the way it should look. 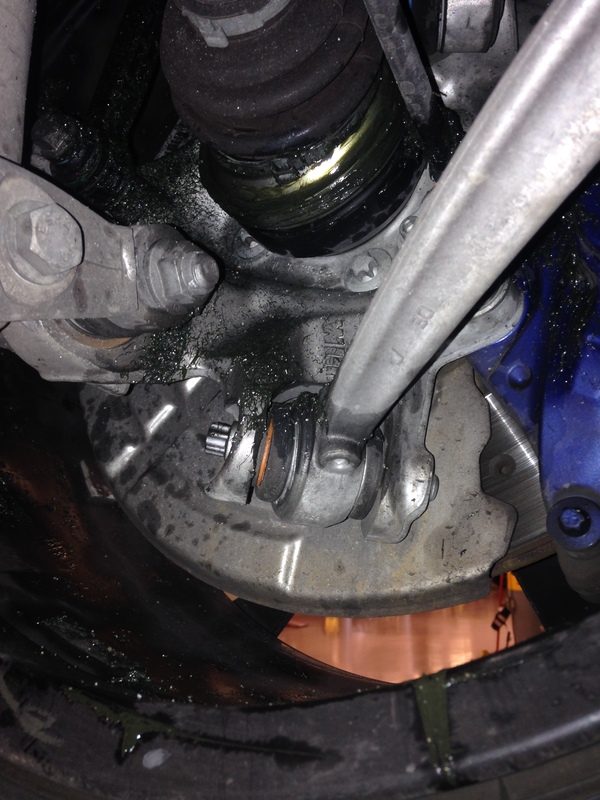 Here you can see the rear cv joint and the rear hub also took some damage,,,,we just don’t know if the rear differential is damage yet,,,,it’s hard to tell how bad the axle got shoved into the rear differential. 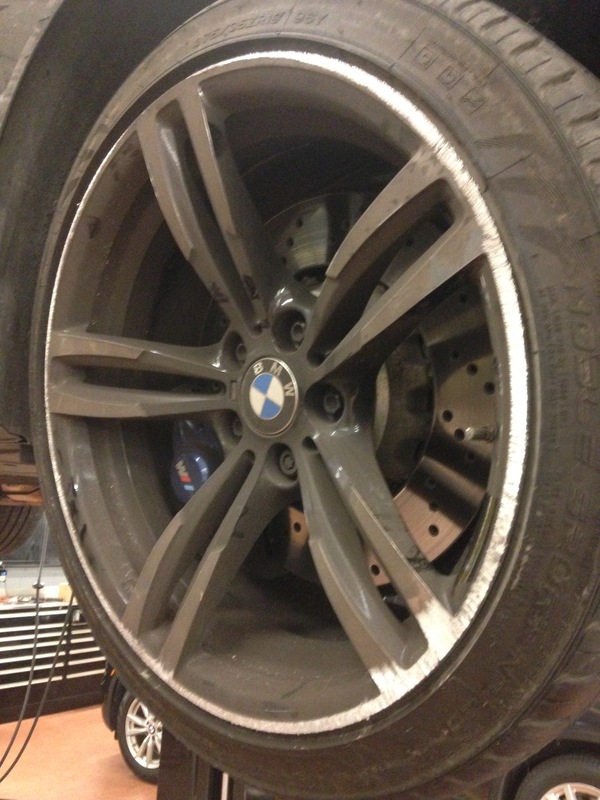 This is the only damage to the rear wheel. 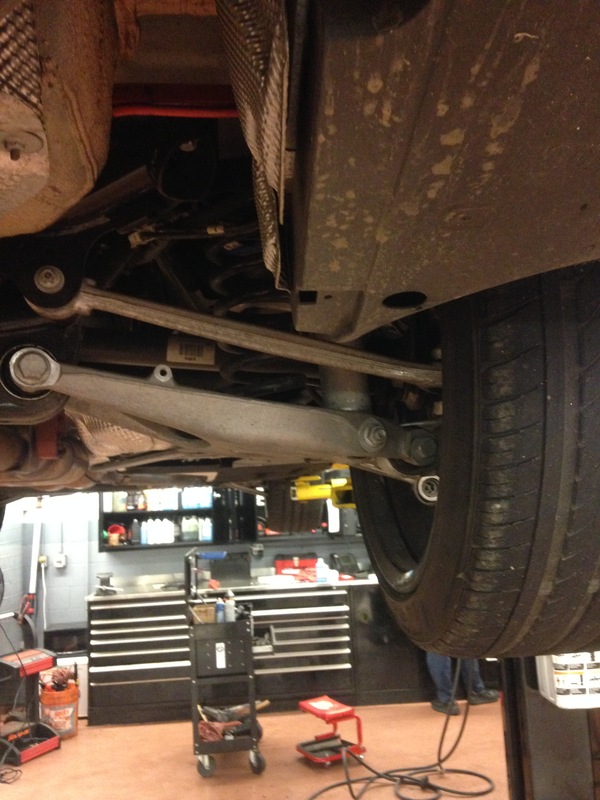 This entry was posted in Uncategorized and tagged bent, damaged, M3, rear suspension. Bookmark the permalink.